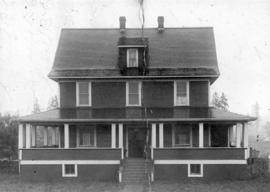 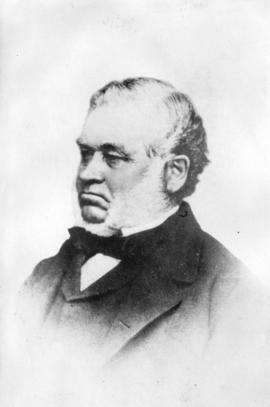 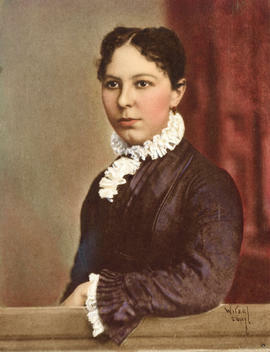 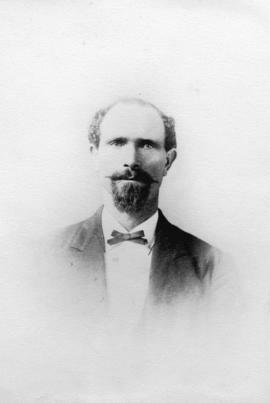 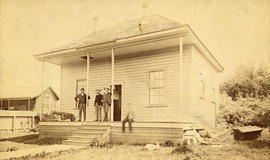 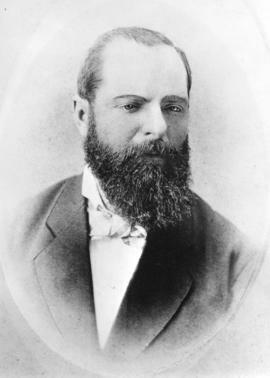 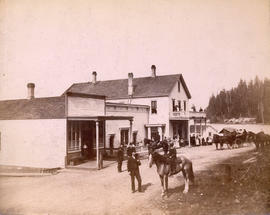 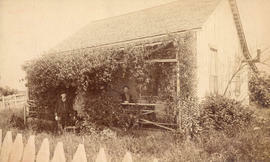 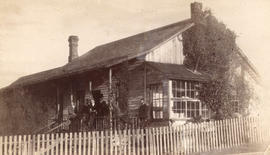 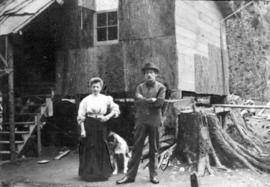 Photograph shows Jack Fannin on right in front of Cottage and Mrs. G.E. 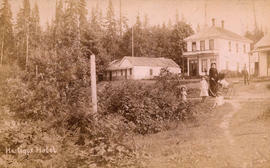 Corbould, her three daughters and Mabel Tatlow. 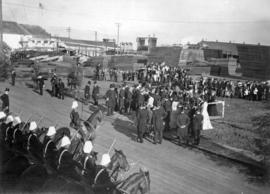 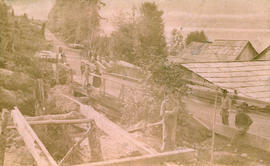 Photograph shows the Hastings Sawmill Volunteer Firemen Perfomance Troupe on the old Hastings Road. 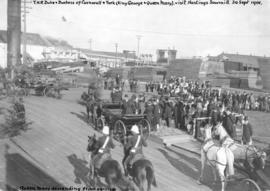 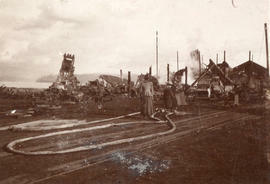 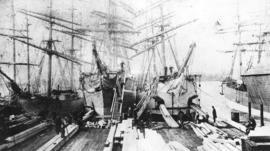 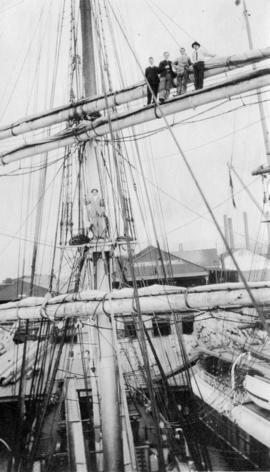 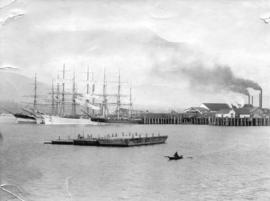 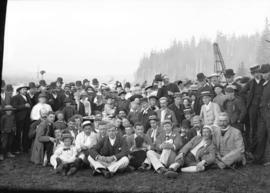 The first fire engine on Burrard Inlet is partially shown at the end of the troupe. 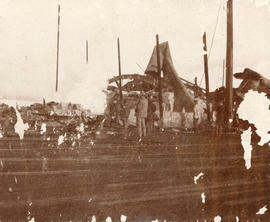 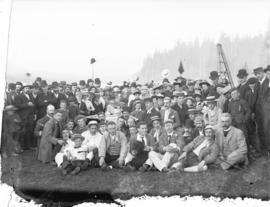 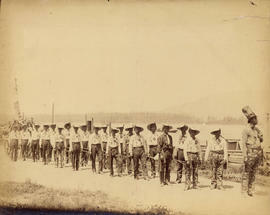 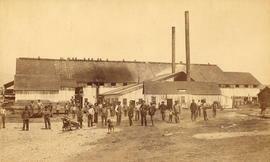 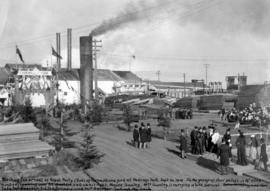 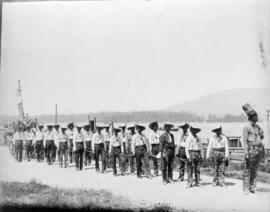 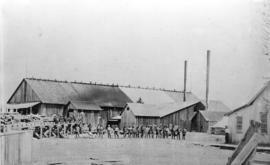 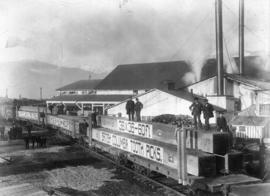 Photograph shows the Hastings Sawmill Volunteer Firemen Performance Troupe on the old Hastings Road. 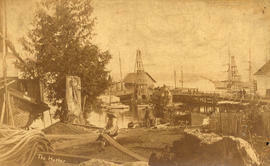 The first fire engine on Burrard Inlet is partially shown at the end of the troupe. 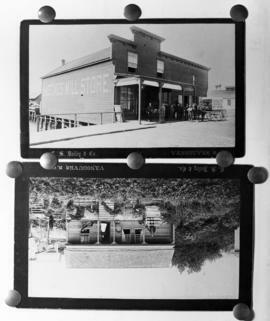 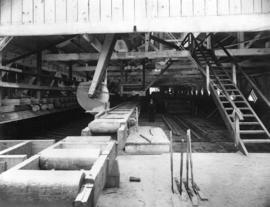 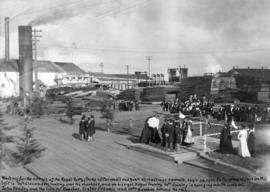 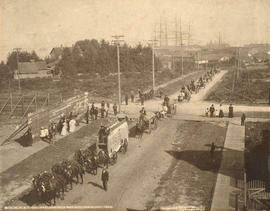 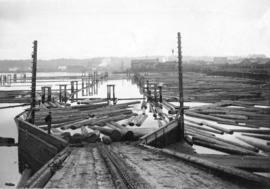 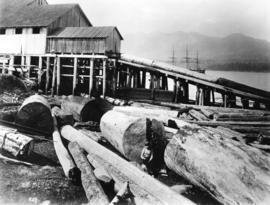 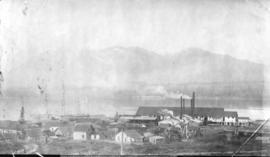 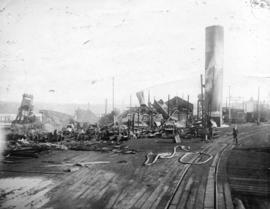 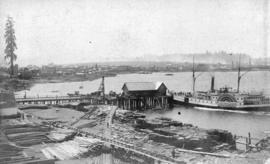 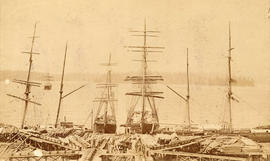 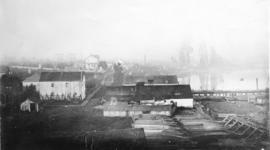 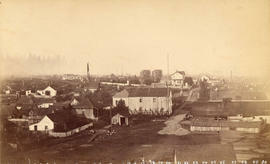 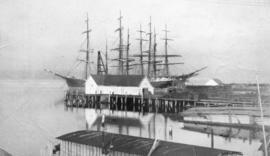 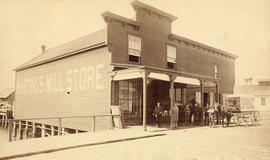 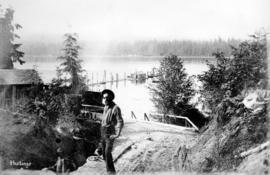 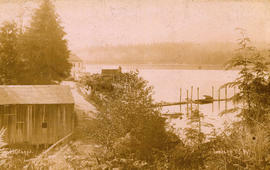 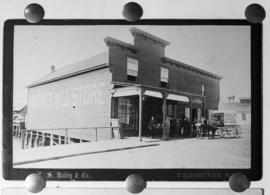 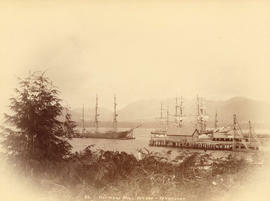 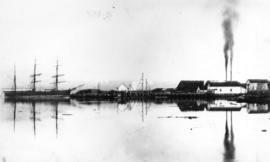 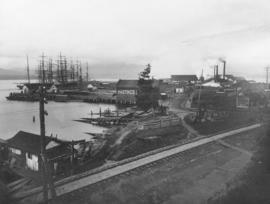 Photograph shows the old Hastings-Granville bridge and road.